Ever eat way too much at a family dinner or night out? That bloated, slightly queasy, yucky feeling the next day isn’t fun! Try this traditional Greek digestive aid. Quick, super simple and it works EVERY time! Just squeeze the juice of one fresh lemon into 8-10 ounces of room temperature water (not cold!) and add fresh mint if you have on hand. Take sips and try to drink it over at least 10-15 minutes. 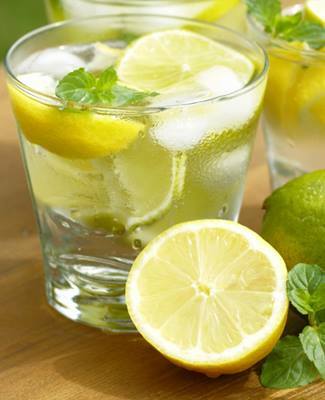 We love this lemon water detox and know you will too! This is delicious. Especially if you happen to be fortunate enough to have Greek mint plants!